We are living in exciting times, perhaps even in an axial age, rich with opportunity, change and new directions for the human race. Changes-in-the- making include a substantial increase in human longevity; workforce shifts due to advances in the fields of AI and robotic; the introduction of human-machine collaborations, or cyborgs; and advances in space exploration. Such unimaginable blessings, however, can easily turn into nightmares if allowed to take place ‘under the radar,’ unchecked and unheeded by those who are not mobilizing them. Although no one can predict the future, now is the time to devote our best ethical, philosophical and psychological efforts to consider the implications of various future scenarios and to shape our visions of the future according to our values and goals rather than according to the benefits of various interest-groups. What might we wish these new human communities to become? How do we envision humanity in the age of space colonization, if we support such a vision at all? This is not a theoretical sci-fi question anymore. 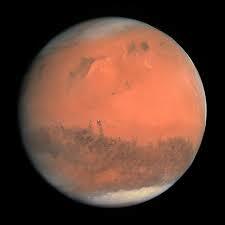 It is likely that the first manned expedition will settle Mars within a matter of decades. When this happens, we’d better know what our dreams for humanity are. Which of humanity’s innovations, cultural inventions and social habits should we carry along to the new colonies, and which should we leave behind on earth? Some institutions to consider are families, marriage, capitalism, money, Incarceration, schools, timekeepers, work vs. leisure, binary genders, war, nationalities and democracy. In fact, two distinct questions need to be debated: What would we like to change, and what are we capable of changing? One of the most disconcerting (or appealing, as your attitude may be) possibilities is that of forsaking religion in our interplanetary future. Should there be Christians, Muslims, Jews and representatives of other religions on Mars and the exoplanets that will follow? Would it be preferable to start afresh with no organized religions at all, or even with no concept of a transcendent deity? Is such a possibility viable, or has the experiment of communism proven that religion cannot be discarded? Would new religions spring up anyway? And even so, perhaps “Project Religion2.0” would be better for humanity? What are the elements of religiosity that we’d want to retain, and are there any that it would be preferable to leave behind? This is the first set of many questions which arise, all meriting thoughtful discussion, which at present is all but nonexistent. It is not difficult to fathom why this is so: Religions and their leaders are creatures of tradition. Space colonization is the stuff of the future. The twain have rarely met; but it is high time they did, and this is what the “Jews in Mars” project, (currently in the form of an edited volume) is about. As Jews, one set of questions pertains to specifically Judaism: If we do wish to send Jews to space, what might Jewish life look like without Earth’s space and time? 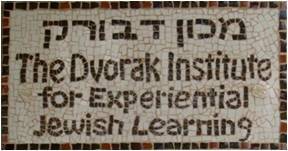 How critical is the cycle of the years, seasons and weeks for Judaism’s long-term existence? (A year on Mars is 687 Earth-days) How important are sacred places to Judaism (with Jerusalem as far as 405 million kilometers from Mars sometimes)? Interestingly, in 1969, the year when NASA first landed a man on the moon, Orthodox Rabbi Ben Zion Firer (1914-1988) suggested that “The Torah has nothing for humans on the moon, because many commandments of the Torah which are attached to specific places and times cannot be binding there… And a Torah without 613 commandments does not exist. 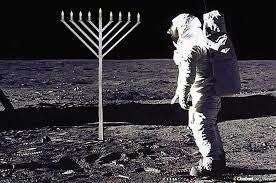 This means that a Jew who would emigrate to the moon with no intention to return would be […] exempt from all commandments.” (1969, ‘Commitment or exemption from Torah commandments on the moon’). Not surprisingly, this led to rejoinders with Rabbi Menachem Kasher responding: “How can such a strange proclamation be made, that a Jew born Jewish might move away and be rid of all the Torah commandments? How come he [R. Firer – N] did not ask himself where one’s internal sanctity might disappear to?” (1969, ‘Man on the moon in light of Torah and faith’). Anecdotal as this debate may seem, these rabbis were anticipating a time when such questions would become not only relevant but pressing. And this time has arrived. 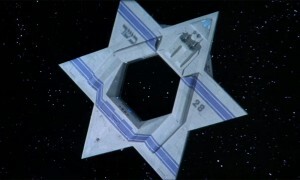 But the implications of space travel and colonization for religion are far more wide-ranging than a series of Halachic puzzles. On a broader level lie theological concerns dreving from the implications of space exploration. For a start, many monotheistic theologies have not only one God at their center, but also one location — earth– and one species commanded by God. What happens as the universe expands around us, and we realize how extremely marginal the earth is? As astrophysicist Carl Sagan once put it, “Who are we? We find that we live on an insignificant planet of a humdrum star lost in a galaxy tucked away in some forgotten corner of a universe in which there are far more galaxies than people”. Should this affect our perception of God? Our perception of God’s relation to humans? And if so, in what directions? Finally, perhaps the most disconcerting possibility of all involves eventually discovering that we are not alone in the universe. Astrophysicists have been estimating the likelihood of such a possibility and have arrives at calculations showing that about 1021 planets are similar enough to earth to support life. If only a miniscule number of them actually do support life, we are most certainly not alone in the universe. As of today, 3610 exoplanets have been identified and listed, some of which are intriguingly similar to earth. Kepler-452-b, discovered in 2015, has a similar size, atmosphere and temperature as earth and orbits a sun very similar to our own. In fact, the chances that life has evolved only on planet earth are equal to the chances of winning the national lottery 1,000,000,000,000,000 times in a row. Would you care to place your bets? And what, you may wonder, has any of this to do with my being a God-fearing Jew? Well, quite a lot actually. Some of the questions which arise include the following: What if extraterrestrial life-forms have other religions than those we invented here on earth? Would that change our perception of our own religion’s truth-value? What If they have no religions at all? How would that affect our certainty in the role of religion? And here’s a final challenge to ponder: If some of these life forms are more advanced than we are, perhaps having reached immortality, omniscience and the ability to create life, what would be the difference between them and God? Does this mean we should worship them? And if not, why do we worship God? All of these questions, uncomfortable as they might be, are worth pondering in the near future, when we still have the time and the peace of mind to do so methodically. However, insights stemming from these questions are relevant not only for a time when the first spaceships leave earth behind or when the first extra-terrestrial life forms are discovered (if ever they are), but also for our lives here and now. We could make plans and gain insights for the future, or we could start applying the insights we reach about religion and faith to our lives as we live them here on earth, today.